For those tennis ball mad dogs! Companion Aloe Vera Shampoo for dogs contains natural Aloe Vera to create a cleansing shampoo that is ideal for regular use. Companion Antibacterial Powder for dogs is an ideal every-day aid to natural healing for bites, scratches, cuts and minor wounds. Companion CA-37 is used to optimise general health and wellbeing in dogs and cats. With added probiotic. 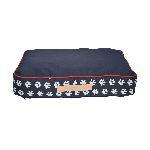 Fully reversible padded dog bed, extra thick for comfort. Ideal for the house or back of the car. A great tug toy, made out of rope for your dog. A traditional rope toy for your dog. Put your dog in the lap of luxury with this fantastically comfortable mattress with a waterproof base to make it easy to clean. 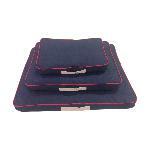 Ensure your dog gets the best night�s sleep where they can dream away on this comfortable, cosy pillow bed.